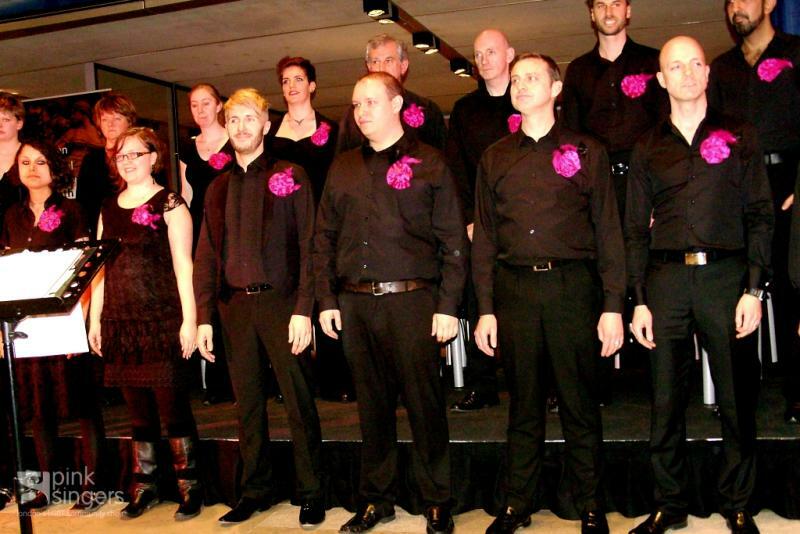 The Pink Singers are proud to take part in LGBT History Month. On 1 February, we sang at Southwark Council’s London Bridge headquarters for the launch event of the council’s 2011 LGBT History Month programme — Queer Question Time chaired by BBC Dragon’s Den presenter Evan Davis. Answering questions were Matthew Parris, broadcaster and Times columnist and former Tory MP; Sue Sanders, co-chair of Schools Out; John Amaechi, psychologist, New York Times best-selling author and former NBA basketball player; Angela Eagle, Labour MP. Previous Previous post: Where were you 15 years ago? Next Next post: Away with LGBT stereotypes!